According to a government reply in Lok Sabha, as on June 30, 2017, there were about 109,598 cases pending across debts recovery tribunals, with recovery dues of Rs 635,500 crore. With debts recovery tribunals (DRTs) across the country struggling with logistics, the number of unsettled cases in these tribunals are rising, adding to the already soaring non-performing assets (NPAs) of banks. In Mumbai, work has come to a near halt after the building which housed one of the key DRTs caught fire on June 2. The Bombay high court in August said the Centre’s delay in allotting space for the DRT was causing a loss to the Maharashtra government while borrowers from banks were benefiting. DRT lawyers in other cities also are struggling with poor infrastructure and acute shortage of staff. According to a latest government notification on vacancy at DRTs, in out of close to 39 DRTs, 20 have vacancies for the post of registrar. Apart from this, the post is also vacant at two - Mumbai and Delhi - of the five Debts Recovery Appellate Tribunals (DRATs). Several DRTs are awaiting appointment of presiding officers, according DRT lawyers. Another two vacancies are anticipated by December this year. In addition, a number of DRTs are working without recovery officers. Each DRT is expected to have at least two recovery officers. According to the government notification, there are currently vacancies for 16 recovery officers, and another 20 are anticipated by December. According to a government reply in Lok Sabha, as on June 30, 2017, there were about 109,598 cases pending across DRTs, with recovery dues of Rs 635,500 crore. It is likely that some of the high-ticket cases may have moved from DRTs to National Company Law Tribunal for resolution since then, but banks, especially those chalking plans to come out of prompt corrective action (PCA), are of the view that delays in DRT resolution are significantly adding to their non-performing assets (NPAs). 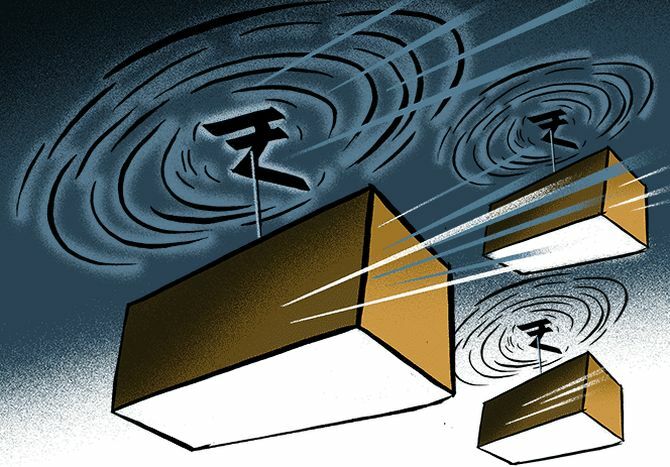 “We have nodal officers dealing with DRTs, and we have asked them to expedite the processes,” said N K Sahoo, executive director, Allahabad Bank, which has about Rs 5,000 crore realisation stuck in DRTs. The acute shortage of staff has also prompted bankers to take up the matter with the government. “A lot of follow up is required in DRTs as recovery officers are not available. Banks have been collectively raising the issue of the appointment of recovery officers with the government,” said a top official at a public sector bank. Several public sector banks under the Reserve Bank of India’s prompt corrective action have also suggested collaboration between state and the Centre for speedy disposal of cases stuck in DRTs, according to a senior official of a public sector bank. Legal practitioners are of the opinion that appointments in DRTs should be made by the law department and not the ministry of finance. "If impartial decisions have to be made, the DRTs should be under finance ministry and not law ministry. Even the name debts recovery tribunal is misleading, and should be changed to debts adjudication tribunal,” according to Ashok Kumar Dhandhania, president, Debts Recovery Tribunal Bar Association, Kolkata. “The word recovery indicates that the business of DRTs is one-sided and the only aim is recovery of bad loans. All cases with dues more than Rs 1 million are admissible under DRTs. After the bank obtains a recovery certificate from a DRT, officers attach the property. Alternatively, under SARFAESI Act, banks can directly recover dues against collateral after permission from District Magistrates. However, the SARFAESI Act also empowers the borrower to move DRTs, questioning the legality of the attachment. “To make DRTs more effective, they need to be properly manned. Regarding appointments, there has to be a specific body which is designated to look after appointment of judicial officers,” according to Samik Basu, advocate, Debts Recovery Tribunal Bar Association, Kolkata.